We are leading distributor, wholesale supplier and service provider of fuji electric ac drives. We deal in A-Z rage off FUJI ELECTRIC components including , Controllers , Realys , Switchgear , Automation products . 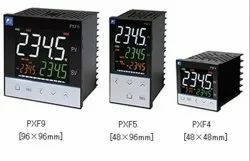 Fuji PLC, SERVOS, HMI, TEMPERATURE CONTROLLERS, And Other Automation Products.